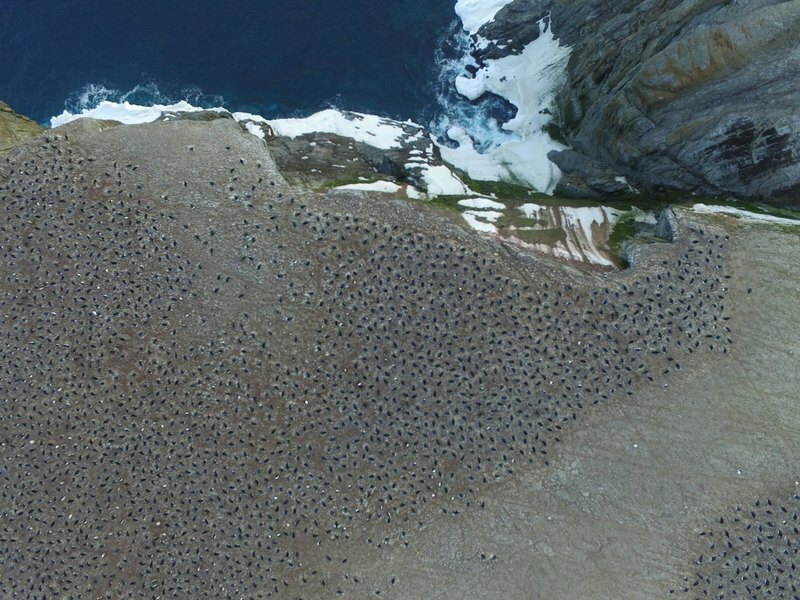 This year, scientists made an amazing discovery with satellite imagery – they found a huge colony of 1.5 million penguins living on the Danger Islands in Antarctica. As researchers have found out now, these seabirds have been living there for about 2,800 years. It all started with the fact that the research team spent 10 months doing pan-antarctic research of Adelie penguins: as part of the study, experts carefully studied each cloudless satellite photograph of Antarctica. However, a NASA researcher later developed a special algorithm that allowed automating the process and found traces of penguins on the Danger Islands. The researchers went to the Danger Islands to conduct a full study of animals: there they had already calculated the number of individuals – independently, as well as with the help of drones. And it turned out that more Adelie penguins live in this small area than in the rest of Antarctica as a whole. On the islands of Danger live about 1.5 million individuals. Although this is really a lot, researchers suggest that there were even more penguins on these islands before. Specialists studied other satellite images, earlier ones, and found that the Adélie penguin populations were probably the largest in the late 1990s, and since then they are gradually decreasing (however, according to scientists, this decrease is not catastrophic). Other researchers have decided to find out how long Adelie penguins live on the Danger Islands. After studying radiocarbon analysis of bones and eggshells found on the islands, scientists found that these birds are “hiding” in these places for a very long time: apparently, Adélie penguins appeared on the Danger Islands 2,800 years ago. Their work has not yet been published – it was presented at the meeting of the American Geophysical Union in Washington on December 11; briefly on the results reports portal LiveScience. Previous story People became erect when they still lived in the trees.